We're smack dab in the middle of January. For many people that means trying to stick to New Year's Resolutions to eat better, work out more and lose weight. However, in New Orleans, January means Mardi Gras season. And that can lead to more eating and drinking, while parading and festivaling. That, of course, puts a crimp in those vows we make at the New Year to live healthier. But not to despair! You can literally have your king cake and eat it too. You just might have to work a little harder for it. We plugged the average weight of women (168.5 lbs,) and men (195.7) into the ACE Fitness (American Council on Exercise) calculator to determine how long you might need to work out in order to burn off your favorite New Orleans dishes. The calorie count we took from Nutritionix. Keep in mind—this is just a guideline; every body is different. It also depends on who is making your food. Not to mention, it’s always advisable to consult a physician and/or nutritionist when making major health and fitness changes. Starting with one of the most famous New Orleans goodies, Nutritionix reports one beignet contains 262 calories. Plugging it into the Ace Fitness calculator, both women and men can climb stairs for about 25 minutes to knock out the sugary confection. Or, you could join Move Ya Brass for a Bounce Ya Brass or Twerk Ya Brass class, as 30– 40 minutes of moderate aerobic dance enables women to torch those doughy calories, while men can dance cardio it away in 20 - 30 minutes. One slice of king cake is said to contain 421 calories. Women can work off a piece of king cake while hiking for 50 minutes to an hour. Men can do it in about 45 minutes. Or, go for a 12 -13 mph bike ride to rid yourself of the seasonal treat. Women require about 40 – 50 minutes, while men can pedal for 30 – 40 minutes. One cup of this New Orleans staple contains 314 calories. You don't even have to work that hard for this one—depending on how many cups you scarf down, that is. If you stick to just one cup of red beans and rice, women can go golfing and burn that in about 55 minutes— if they carry their clubs. If they use a cart, they’ll need at least an hour and 10 minutes on the links. Men, meanwhile, are able to work off their Monday meal in 45 minutes while carrying their clubs, or an hour if driving from tee to tee. Or, just clean your house. Women can shoot for an hour and 20 minutes to lose the calories, while men clock in at an hour and 10 minutes. You need to tidy up anyway, why not do it before or after your favorite New Orleans delicacy. A bowl (or two cups) of gumbo comes in at 297 calories. If you're a fan of the comfort food, you can easily balance things out by taking up martial arts for just under a half hour for women and 20 minutes for men. So… scarf down two bowls and hit the mats for a full hour. But women using a rowing machine at a moderate rate will torch it in an hour and 20 minutes, or 55 minutes if they go at it harder. For men, a moderate rowing machine workout can get the job done in an hour and 15 minutes, while an extreme session can accomplish it in 50 minutes. 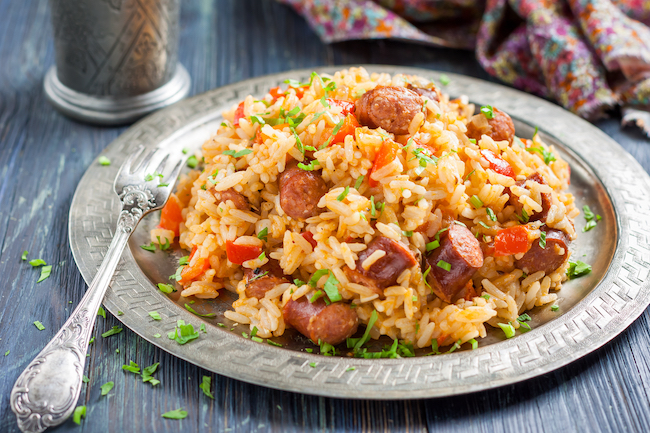 Running will also take care of your love of jambalaya. About an hour of hitting the pavement for both women and men should do the trick. Whatever favorite New Orleans eats you choose to indulge in, there is no shortage of ways to counteract the calories. Thereby, keeping your New Year's resolutions—if you even made them at all. Move Ya Brass is always here to help keep you motivated and movin’! So, our founder Robin Barnes, The Songbird of New Orleans, partnered with Ochsner to create a Mardi Gras playlist on Spotify—New Orleans music and Mardi Gras time! 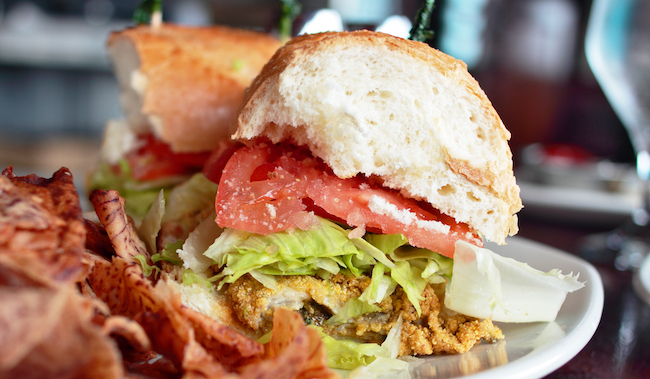 How do you indulge in your favorite New Orleans eats while staying fit and healthy? Tell us below.